Cocktail bar and lounge highlighting elixirs at Suzuki. : Toshio Suzuki (Sushi Zen) and his son Yuta are behind midtown restaurant Suzuki. 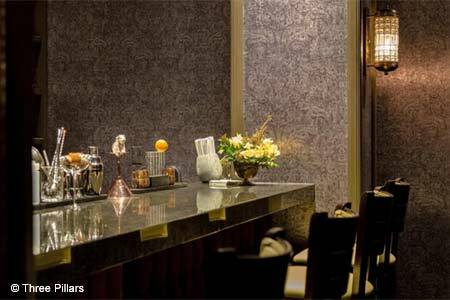 The spot houses a trio of concepts: kaiseki restaurant Suzuki; a ten-seat sushi counter run by Toshio and Kentaro Sawada called Satsuki; and this cocktail bar and lounge offering the creations of Alex Ott. Elixirs are a focus. Look for options like Bansoukou (Gym Substitute & Healing Juice).